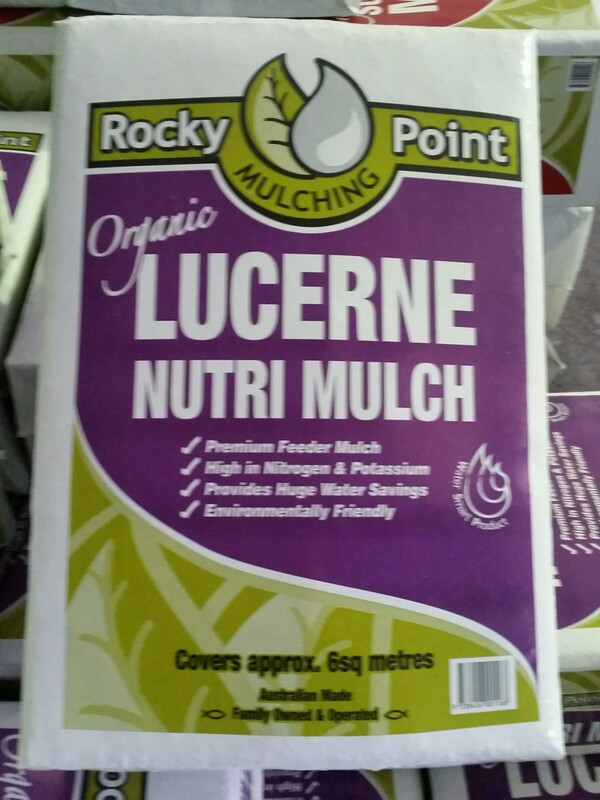 Rocky Point Mulching Organic Lucerne Nutri Mulch Australia’s premium garden mulch that “FEEDS” your garden every time you mulch. Nutri mulch will provide a significant increase in soil nutrients for up to 6 months. It is specifically created and packaged for Australian home gardeners. Enriches the soil by increasing nitrogen and potassium nutrient levels. Minimises weed growth when applied 50-70mm thick. Wind resistant, stable and attractive. Simple to manage and spread.